Goals on the cards at Ewood Park, Millwall could haunt Leeds again, and a table-topper at Peterborough. Blackburn and Aston Villa head into the weekend with both sides bang in the middle of the Sky Bet Championship table. Both suffered their first defeats of the season before the international break, and both of those 4-1 losses saw the end of their unbeaten starts. Aston Villa may be above Blackburn in the table on goal difference, but there is little doubting where more of the pressure will lie at Ewood Park on Saturday evening, live on Sky Sports Football. Villa were only 90 minutes away from the Premier League in May but Steve Bruce is now feeling the same old heat, which is partially deserved due to the way they crumbled almost from the off at Sheffield United and highlighted the deficiencies that most involved with the club were concerned about from the off, and do not yet seem to have been addressed. Orjan Nyland has looked shaky in goal and Mile Jedinak does not look like a viable long-term option in central defence. Only two teams in the Championship have conceded more goals in the first six games, and the signing of attacking talents Tammy Abraham and Yannick Bolasie won't go too far to help that. Blackburn will hope to have Bradley Dack back to give themselves a timely boost following their defeat at Bristol City. The midfielder started the season superbly and, if he fulfils his potential at this level, wouldn't look out of place in any team in the division. Expect goals at Ewood Park. Leeds have started brilliantly this season but it's worth remembering that they were in a similar position this time last year. In fact, they travelled to Millwall on September 16, 2017, top of the table while looking very much like a team that could push for promotion. It all unravelled at The Den. Leeds had won five and drawn two of their opening seven games, and had not even conceded a goal since the opening day of the season, but Millwall powered to a 1-0 win and things would never be the same for Thomas Christiansen and his side. Leeds lost seven of their next 10 fixtures and early-season optimism eventually turned to mid-table obscurity. Hopes are high that the same won't happen again under Marcelo Bielsa, but cracks have already started to open this week following concerning injuries to Patrick Bamford, who is likely to be out until 2019, and Kemar Roofe, who has started the season like a house on fire. Pablo Hernandez, who has also been in fine form, will miss the trip to The Den and all of a sudden the Leeds squad is looking a little threadbare. It's no secret that Bielsa likes to push his players to their limits, and they were always going to need a little bit of luck with injuries to challenge this season with a modestly-sized squad. Millwall eventually ended up 12 points clear of Leeds, which would have been unthinkable this time last year, and will be desperate for a similar showing to end the run of three straight defeats that has halted their campaign. A pivotal game awaits. Bolton have had an unexpectedly promising start to the season but their biggest victory of the campaign came during the international break, as they managed to avoid administration and a 12-point deduction that would have sent them plummeting into the realm of minus points at the bottom of the table. "It's absolutely massive given the start they've had," said Simon Grayson, who was a guest on EFL Matters on Thursday night. "The last thing they needed was to lose 12 points and go to the bottom of the division. Psychologically for staff and supporters that would have been really hard to take." Listen to the EFL Matters podcast, with Simon Grayson and Don Goodman joining David Prutton. Fellow guest Don Goodman added: "Let's not beat around the bush, this is a football club whose first remit is survival in the Championship, so if they had gone into administration it would have had a huge effect and I struggle to see how they would have [stayed up]. "I wouldn't expect them to finish where they are now (eighth), but what they have done is given themselves a real platform to hit that goal, and I doubt Phil Parkinson could have dreamed of a better start." The avoiding-administration party begins with a home game against QPR on Saturday. A win would take Bolton to 14 points, a mark they didn't reach last season until the first week of December. 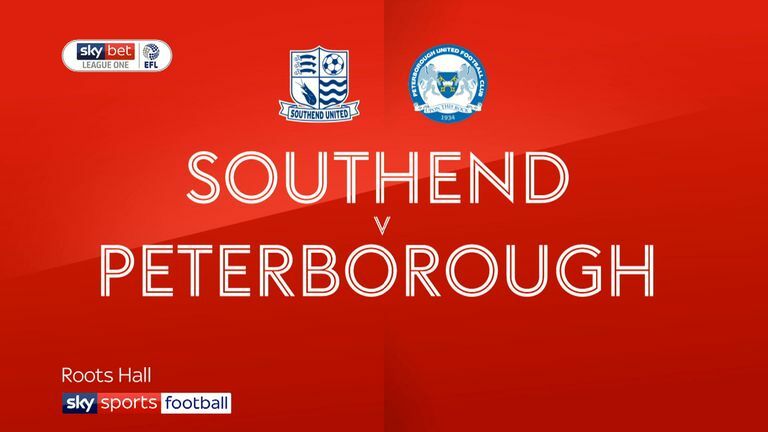 There are still five unbeaten sides in Sky Bet League One this season, and two of those meet in Peterborough on Saturday as the Posh host Portsmouth in a table-topping clash. Peterborough have six wins and a draw under Steve Evans, which is quite a remarkable feat considering the huge turnover of players there in the summer, while Portsmouth are two points behind them in second, having won five and drawn two. Despite their fast starts, both remain behind relegated Sunderland and Barnsley in the promotion stakes with Sky Bet, which shows how well Posh and Pompey have performed so far. Evans, insists, however, that it's too soon to refer to it as a key promotion battle. "This match won't decide anything," Evans said. "But it will put a marker down for the rest of the season. My lads can't wait to step on the pitch in front of a big, passionate crowd to take on one of the biggest clubs in the division. "Only Sunderland are bigger [than Portsmouth] and I am thrilled that Peterborough United are ranked alongside such clubs in the battle for promotion." A lot of the expected pretenders have made their way towards the top of the Sky Bet League Two table already. Lincoln, Exeter and Carlisle have all competed in the play-offs in the last two seasons while Colchester, MK Dons and Swindon have both been relegated in the last two years. The outlier in the top seven? Newport County. The Welsh club who really should have been relegated from the Football League in 2016/17 were saved by a brilliant run under Michael Flynn, before they finished in a hugely-creditable 11th last season. County are on their longest run in the Football League since the 1980s and, ahead of their game with Yeovil on Saturday, have found themselves in the heady heights of second place after a remarkable start to the season that has seen them win five and draw one since their defeat on the opening day. Only goal difference currently separates themselves with leaders Lincoln. Flynn, simply, has done a magnificent job there and anything other than a relegation struggle for a club that is always one of the pre-season favourites for the drop should be considered a success. The club are sharing the goals around as well, with eight different players scoring their nine goals so far. Nine clubs in the division have not even scored eight times yet.